It appears that the NFL is following through on their promise to look into the situation involving Browns QB Johnny Manziel and his girlfriend, Colleen Crowley. The site states that the NFL has indeed contacted Avon Police as part of looking into the situation that took place about two weeks back that has been getting a ton of mainstream attention. 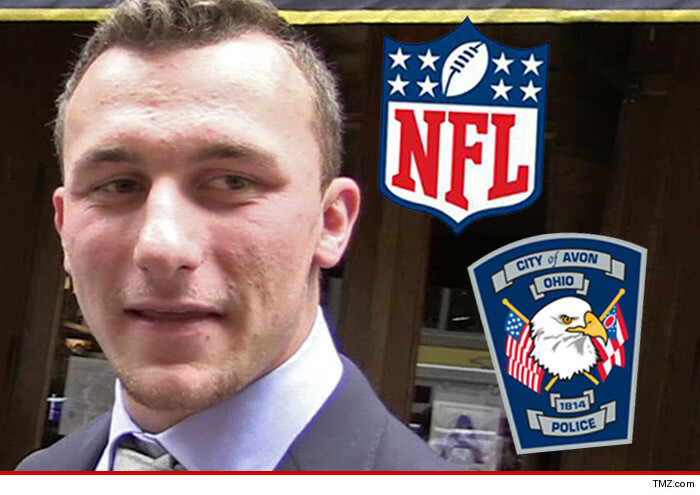 The NFL has contacted the Avon Police Department as part of its investigation into the Johnny Manziel domestic violence investigation … TMZ Sports has learned. We spoke with Chief Bosley of the Avon Police Department who tells us … “We have been in contact with the NFL.” Bosley says the NFL initiated the contact. As we previously reported, Manziel’s girlfriend Colleen Crowley told cops Johnny hit her a “couple times” during an October 12th incident near Cleveland. But he could still face punishment from the NFL — fines or suspension — if the league decides he violated its personal conduct policy … which doesn’t require as high a standard of proof.